It amused me to see these cows and calves lined up across the river field again. 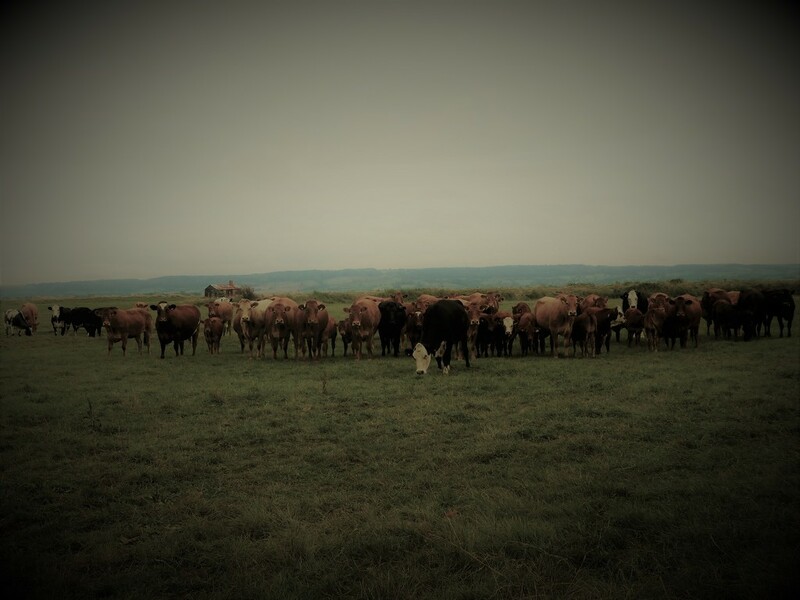 Although my brother went across to pick sloes, I stayed firmly behind the gate and the whole herd kept an eye on me. The formation was arc shaped and reminded me of soldiers taking up a defensive position. They are so curious but can be quite dangerous when there is a calf around! They have got their eyes on you. have you been reading too many cowboy books? @janemartin Good to see you back Jane. Missed you. Mr Day will be on your case again! Oh yes, a little intimidating I think.